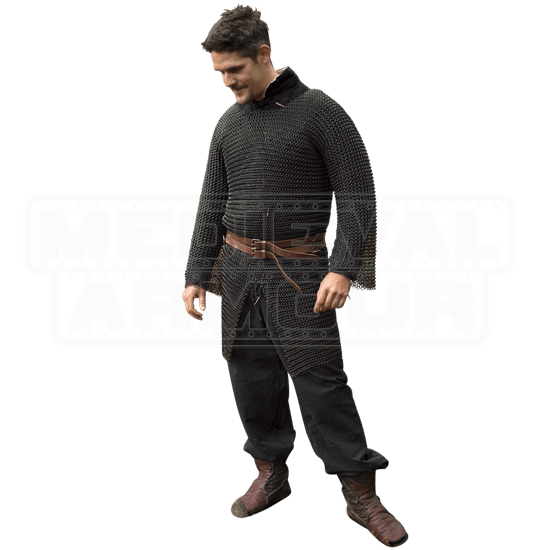 In a dark metal hue, The Black Alaric Chainmail Hauberk is made of mild steel rings linked together to create a long sleeve style that protects its wearer from the torso down to the thighs and throughout the length of the arm. A slit in the front skirt portion allows for greater movement in battle, making this armour both practical and protective. Each of its butted, mild steel rings is interlocked with four other rings for a 4-in-1 design. The armpits are reinforced with riveted rings to help them withstand the stress of typical movement. Chemically colored a dark hue, the Black Alaraic Chainmail Hauberk is a handcrafted piece that may feature slight, natural variations in its appearance. 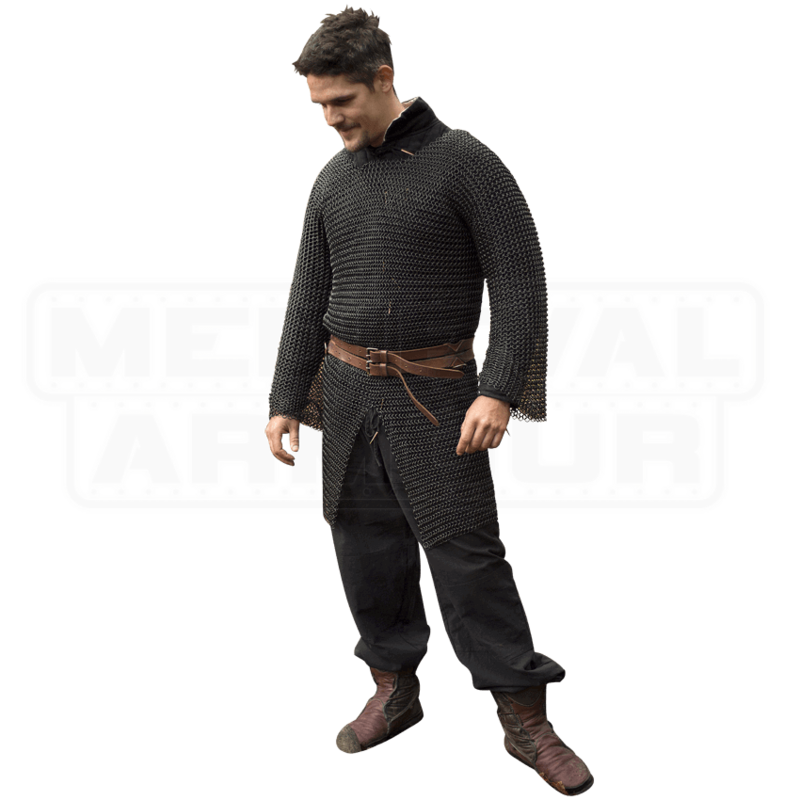 Perfect for LARP characters of a wicked nature or for portraying a dark medieval knight, the Black Alaric Chainmail Hauberk is best worn over a gambeson for an authentic look and safe, comfortable wear.